Posts Tagged With: Mudderella Whistler. 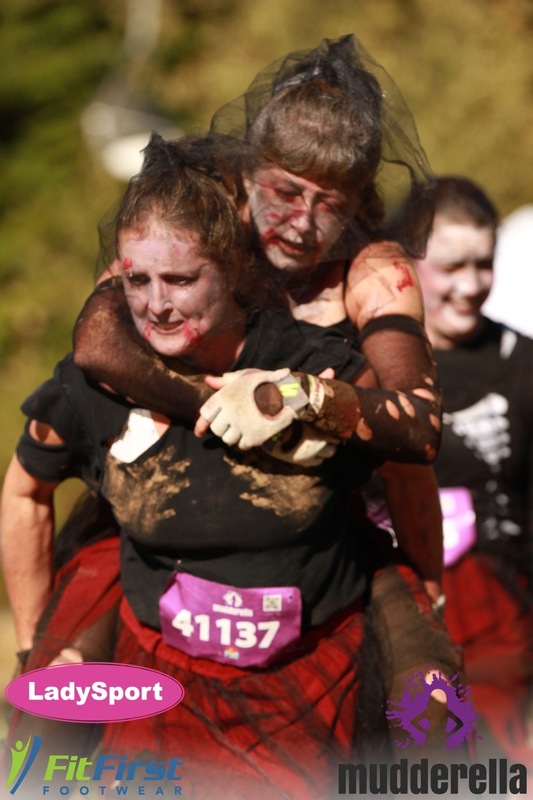 The Walking Dead Mudders nail the “I got your back” obstacle. A few weekends ago, I was crawling through muddy pits, swinging from tires, and careening down a slide into an icy pool. Somehow I managed to convince four of my pals to join me in these antics at Mudderella in Whistler. They’re the best, and share my passion for donning crazy costumes and entering fun running events. We realized a long time ago we could never win on speed so we put our efforts into costume design. The Walking Dead Mudders were a hit, and unlike some of our pretty lululemon-clad competitors, our look just kept getting better the dirtier and more tattered we got.